HGame Hero: Bat Girl - Princess Pink Imprisoned! Bat Girl is a game where you control a girl...with a bat. The object is to save Princess Peach *cough* i mean Pink before the evil villain has his nasty way with her. Bat Girl is a simple but enjoyable platform game in which you move along a scrolling level and defeat enemies as they appear. There are 6 levels in total, each with its own boss. After you have completed a level there is a H-scene which is then replayable in the Gallery. 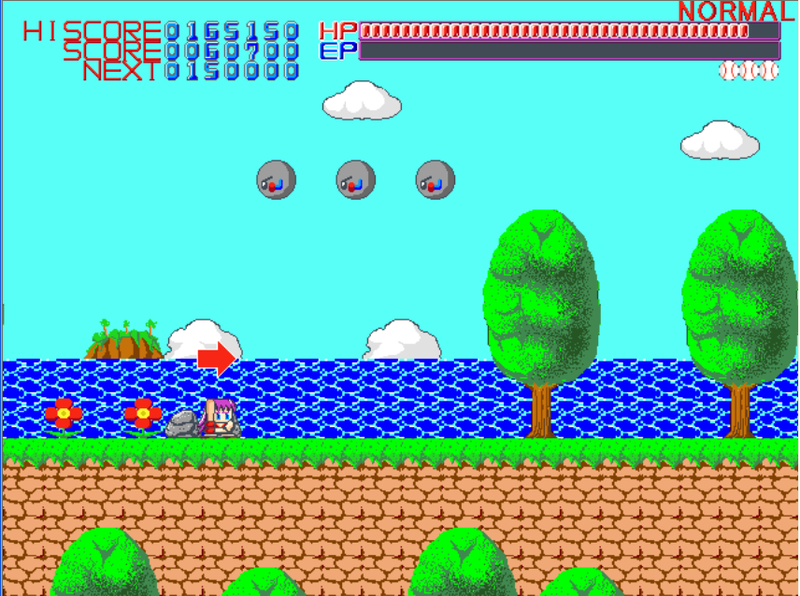 One little twist to this game is the ability to change the direction enemies fly when hit with the bat. These enemies then damages other enemies that they connect with, causing chain reactions. The game has 4 different difficulty levels, i'm not sure if there is any point in beating the harder ones except bragging rights. I guess it adds some replayability, however once you have unlocked all the scenes you probably wont return for the gameplay. Controls are easy; press Z to swing the bat, X to change direction of enemies you hit and UP Arrow to jump. When attacking in mid-air you will hover as long as you attack which is very useful on higher difficulties. In h-scenes you can use C to fast forward.